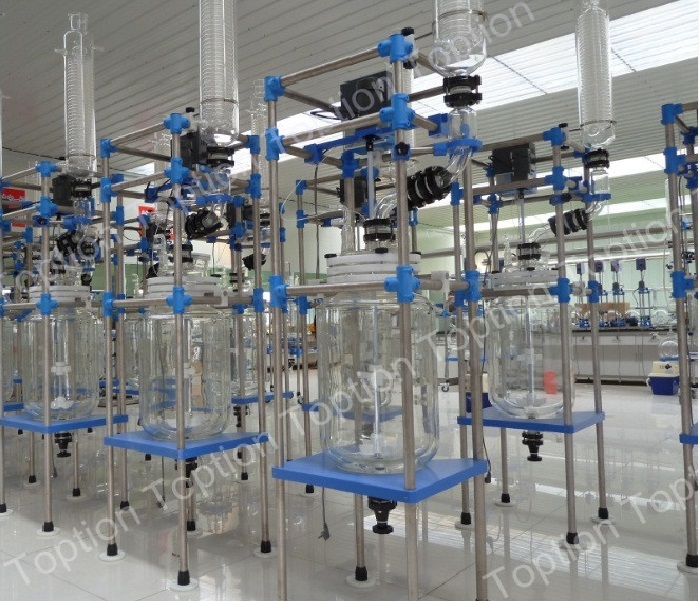 TOPTION Glass vacuum reactor is with double glass design, the inner layer placed reaction solvent can do the mixing reaction, the inter layer can be added with the different hot and cold sources (frozen liquid, hot water or hot oil) to do loop heating or cooling reaction. 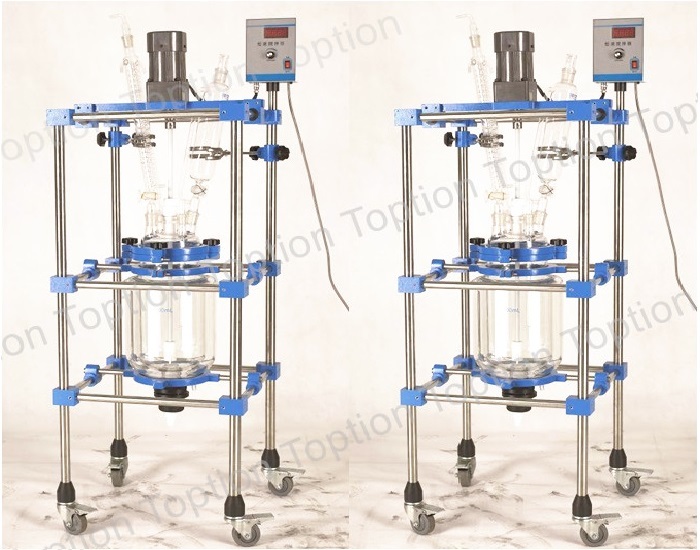 This jacketed glass reactor can be used to do high temperature experiment(max temperature is 280°C),as well aslow temperature experiment(min temperature is -80°C) and vacuum tests. It is an ideal equipment for chemistry small and medium-sized experiment,bio-pharmaceuticals and new materials synthesis. It also is used for extraction of gold. 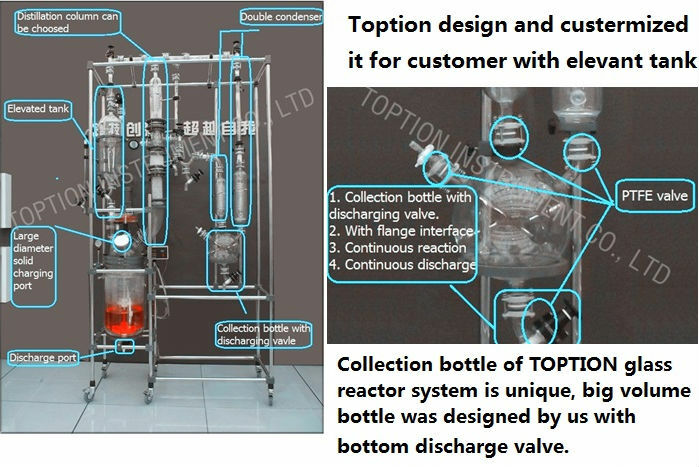 The most important is that “the design of TOPTION reactor is unique,which can guarantee experiments of more convenient and safer. 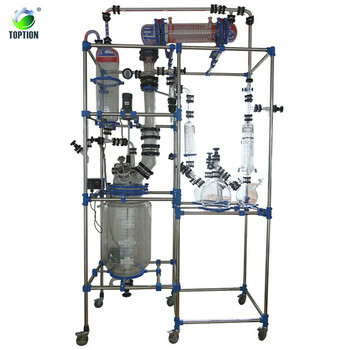 The double-layer glass reactor of the company is the essence of the domestic similar products, with recommendations and experiences of all use customers, it has already been formed 1L, 2L, 3L, 5L, 10L, 20L, 30L ,50L and 100L series, the product design follows the efficient, practical and economic principles, all are for the users. 1. glass reactor adopts AC frequency control of motor speed So the rev is steady , no spark appear, wide moment, safe, and can be used as the constant working. 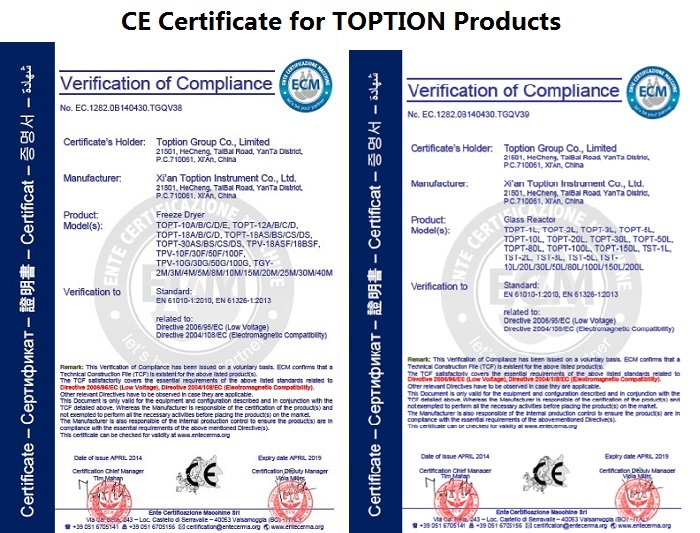 2. glass reactor system use PTFE composite seal, it can maintain high vacuum degree. 3. glass reactor system use efficient condenser to ensure high recovery rate. 5. The glass inter layer interface is added with hot oil, through the loop, it can do reaction under the condition of high temperature; the glass inter layer interface added with cooling fluid can carry on reaction under the condition of low-temperature. 6. the double-layer glass reactor system can be added with tap water to quickly take away reaction heat. 7. 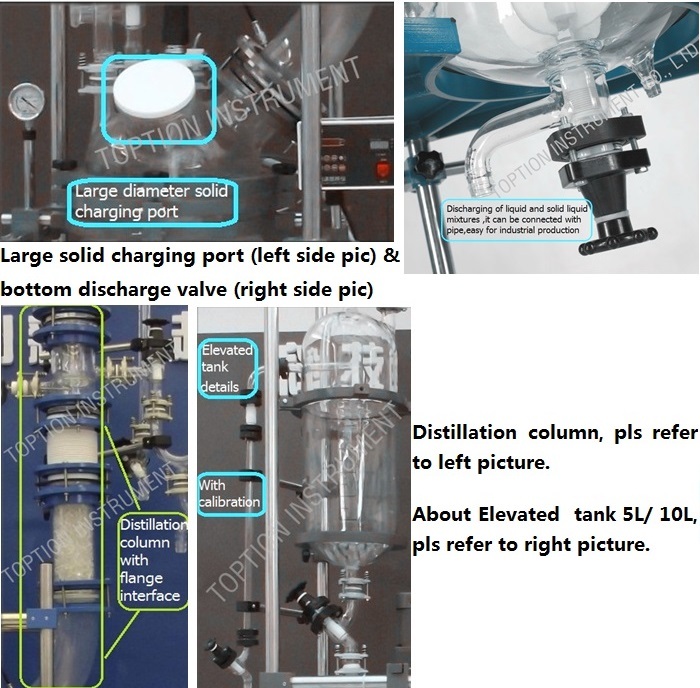 Double-layer glass reactor of Toption discharged material has flanged opening and PTFE valve, without dead angle inside the container, it can be demounted to facilitate the discharge of solid materials. 8. Double-layer glass reactor have digital mixing motor, frequency conversion control, matched with a torque increasing of reducer. 9. 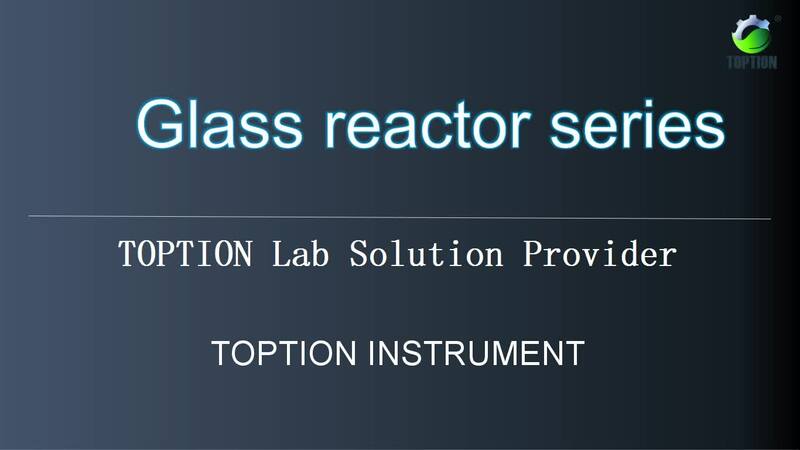 Double-layer glass reactor system reasonable structure and selected materials. The mechanical components use stainless steel and aluminum-alloy pieces, the glass pieces use high borosilicate glass with high temperature resistance and good chemical properties. Electrical components parts: the main components use original imported devices. 10. 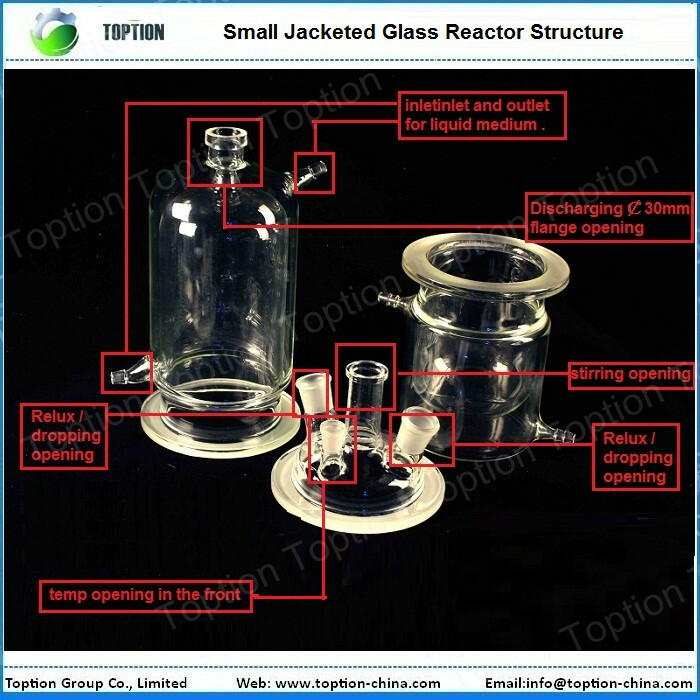 Double layer glass reactors cover opening design: constant pressure hopper opening (or as inlet), condensation reflux inlet, thermometer bushing opening, solid feeding opening (or as outlet) and mixing opening. 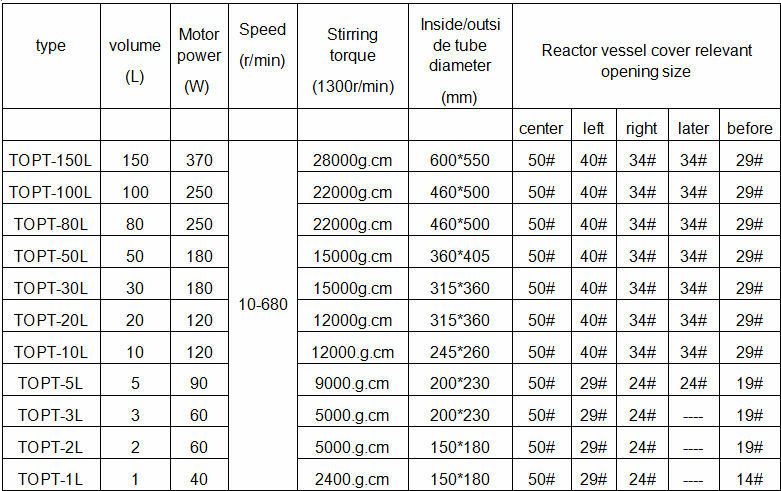 11. the range of glass reactor stirring rate is 10-1100 r/min. 12. The gas can be condensed through condenser system.or release valve. 13. control its pressure inside, by vacuum pump or pressure pump. But the price of pump is additional. Now , the glass reactor was had a pressure gauge, can display the pressure value, but there is no way to charge into the positive pressure or negative pressure, but only display pressure. 14. Our glass reactor is thermoresistant material. Glass material is G3.3, and extreme temperatures: low temperature to -80and high temperature to 300..
15. . This glass reactor has a heating jacket for oils, water to go through and heat. 16. 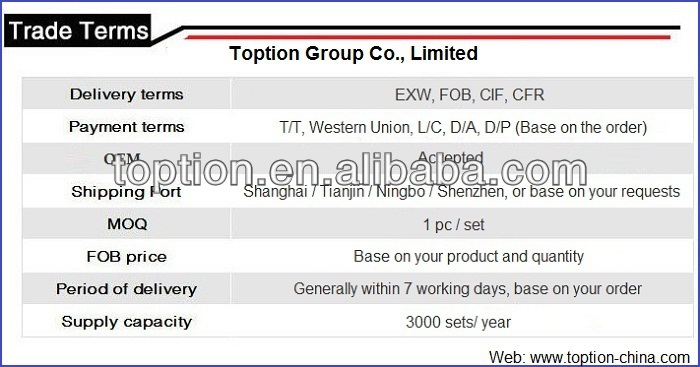 Warranty period is: one year after the time that the demand side received the equipment. We believe the quality will not let you down. 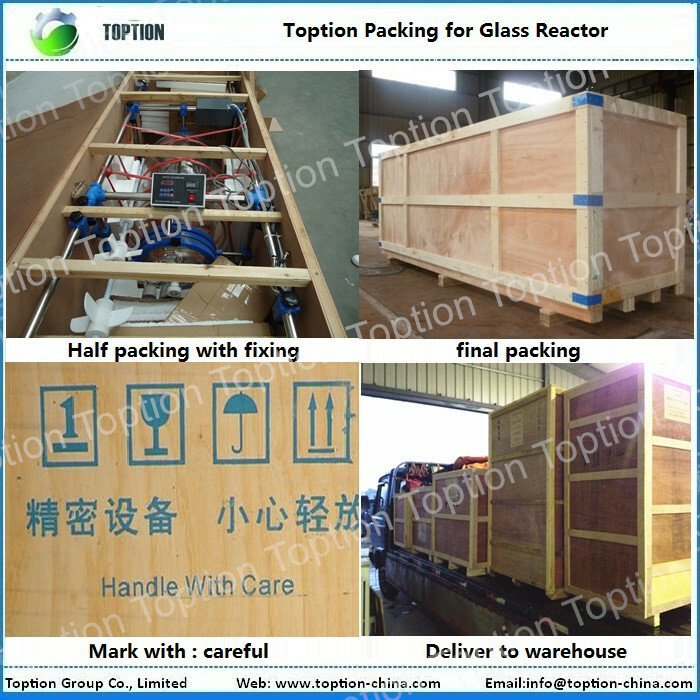 TOPTION company can customized various specifications of glass reactor system, we believe "TOPTION" will be your "TOP option". 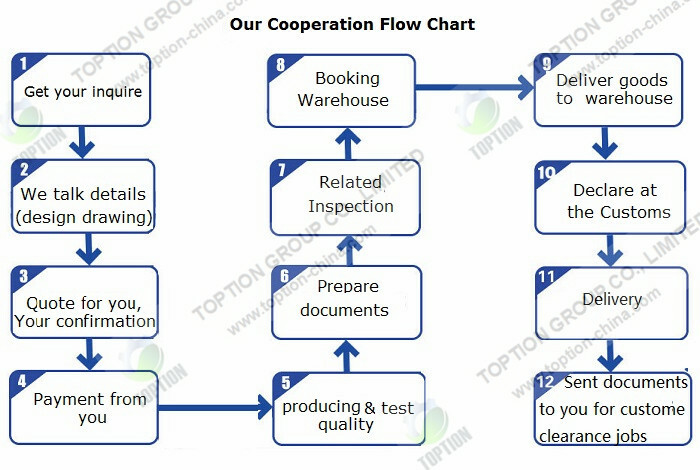 Toption wishes a wonderful year for you.